Lithops is a genus of succulent plants in the ice plant family. 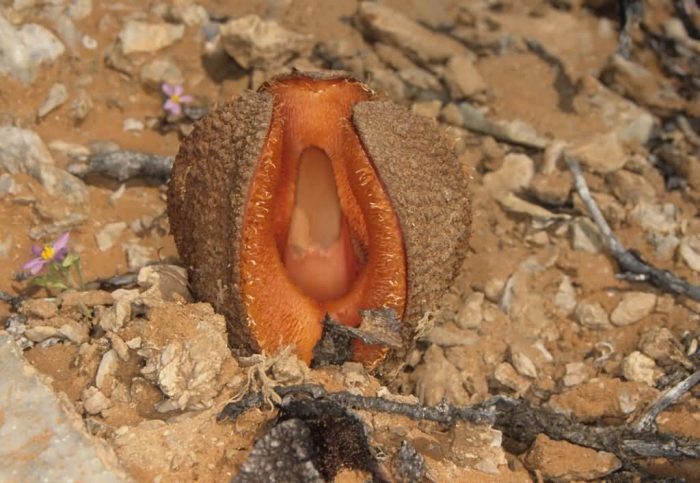 It is native to southern Africa. The name is derived from the Ancient Greek words “lithos” means Stone and “ops” means face. This is referring to the stone-like appearance of the plants. It is also known as a pebble plants or living stones. 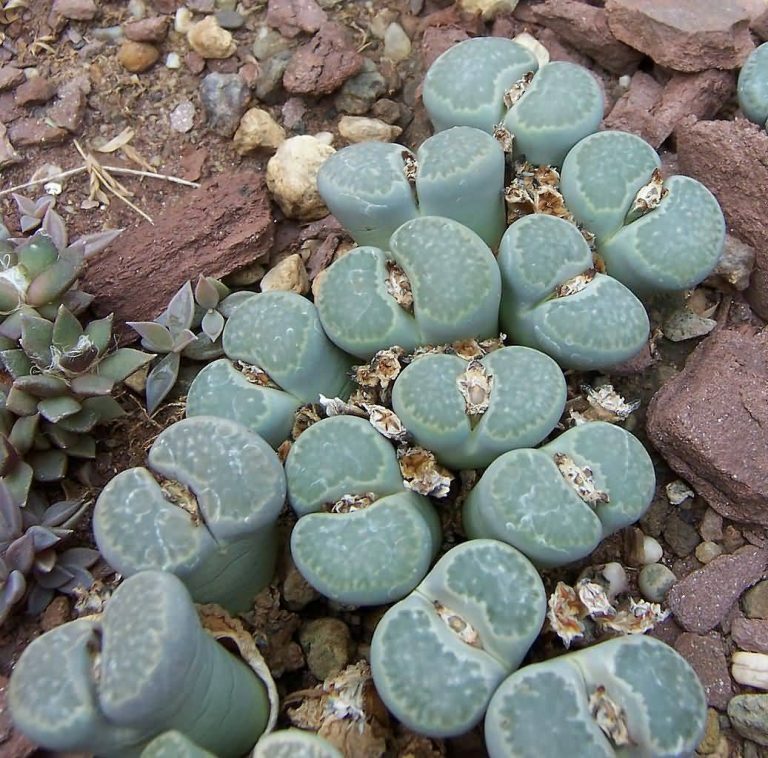 Lithops plants consist of one or more pairs of rounds, almost fused leaves opposite to each other and hardly any stem. 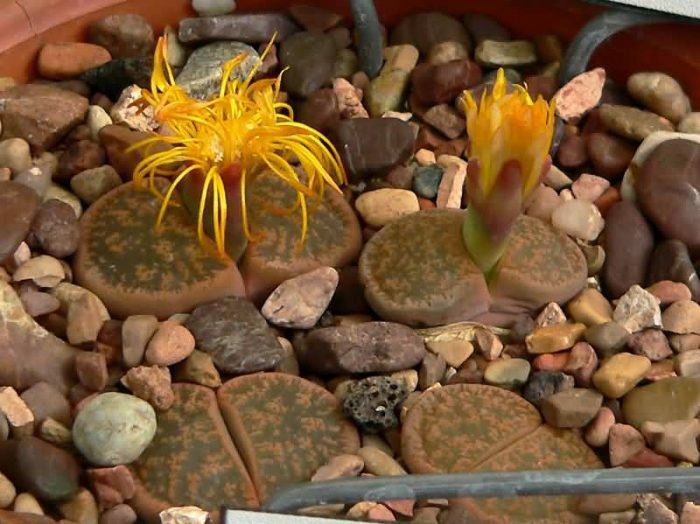 The leaves of Lithops are mostly buried below the surface of the soil with a partially or completely translucent top surface known as a leaf window which allows light to enter the interior of the leaves for photosynthesis. 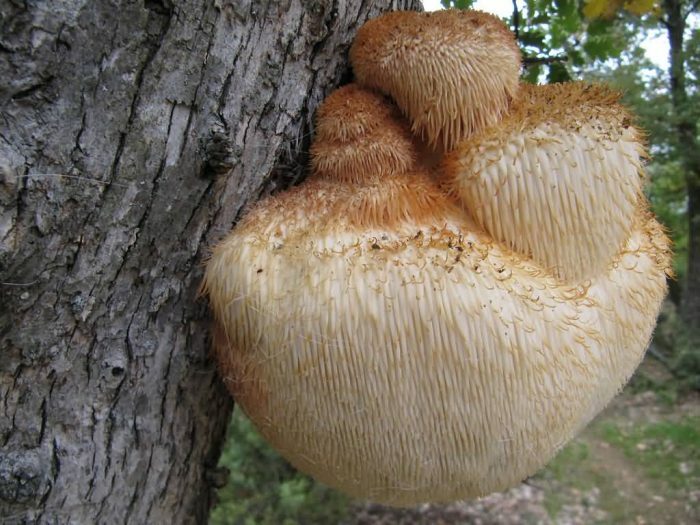 Bear’s Head Tooth Mushroom are white and fleshy and grow on dead or dying wood and it is found in many countries around the world. It is also called as monkey’s head and lion’s mane. The fruit bodies typically have short stalks and are attached laterally to the host tree. Mature specimens are easily identified by drooping spines which hang down. This species can be purchased in dried form for use in cooking and as medicine. 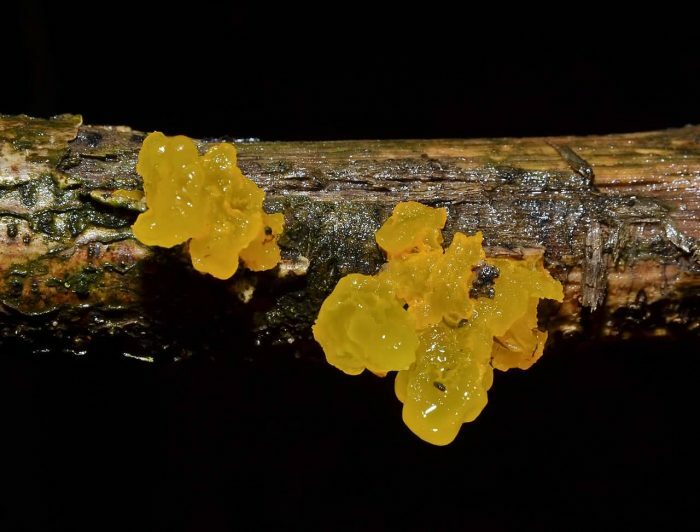 Witches Butter is also known as the yellow brain, golden jelly fungus and yellow trembler. It is a common jelly fungus. It is most frequently found on dead but attached and on recently fallen branches. The gelatinous, orange-yellow fruit body of the fungus, which can grow up to 7.5 cm in diameter. It grows in crevices in bark, appearing during rainy weather. It is widely distributed in Africa, Asia, Australia, Europe, North and South America. It is the interest to the medical field because of their biological activity. Victoria amazonica is a species of flowering plant. 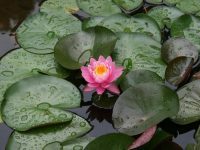 It is the largest of the Nymphaeaceae family of water lilies. 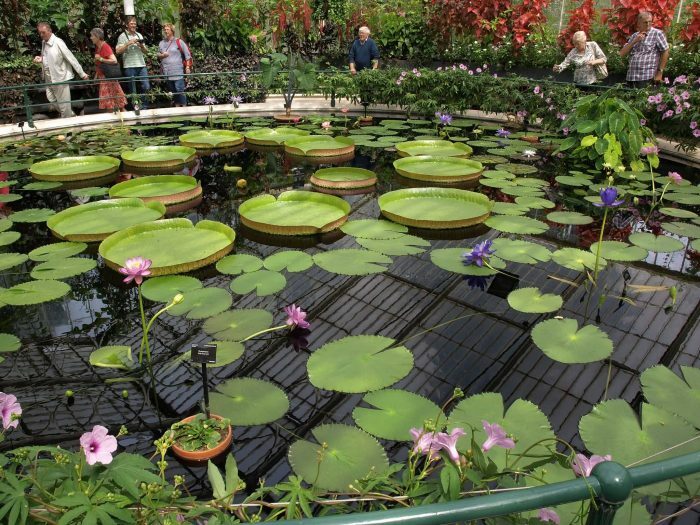 Victoria amazonica has very large leaves up to 3 m in diameter. 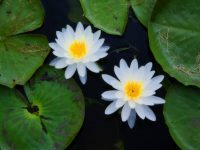 These plants are float on the water’s surface on a submerged stalk up to 7–8 m in length. Victoria Amazonica is native to the shallow waters of the Amazon River basin. The flowers are white the first night they are open and become pink the second night and they are up to 40 cm in diameter. They are pollinated by beetles. Telegraph plant capable of rapid movement like Mimosa pudica and the venus flytrap. It is widely distributed throughout world. It produces small, purple flowers. Telegraph plant contains small amounts of tryptamine alkaloids in its leaves, stems and roots. 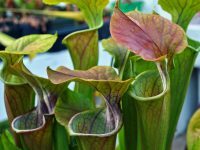 This plant is famous for its movement. Each leaf is equipped with a hinge that permits it to be moved to receive more sunlight, but the weight of these leaves means the plant must expend a lot of energy in moving it. 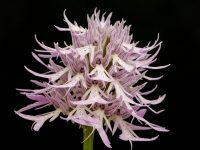 The common name is due to the rotation of the leaflets with a period of about three to five minutes. Hydnellum peckii is a fungus. It is found in North America, Europe and was recently discovered in Iran and Korea. The fruit bodies typically have a funnel-shaped cap with a white edge, although the shape can be highly variable. Fresh fruit bodies exude a striking, thick red fluid when they are moist. 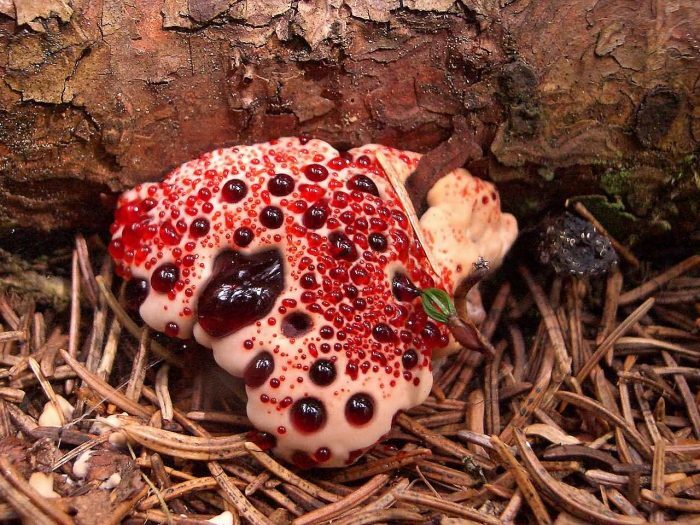 Hence, this fungus is also known as “red-juice tooth”, “bleeding tooth fungus” and the “devil’s tooth”. They can reach a height of up to 10.5 cm. As the fungus grows older, the pressure eases and the Bleeding Tooth fungus will turn brown. 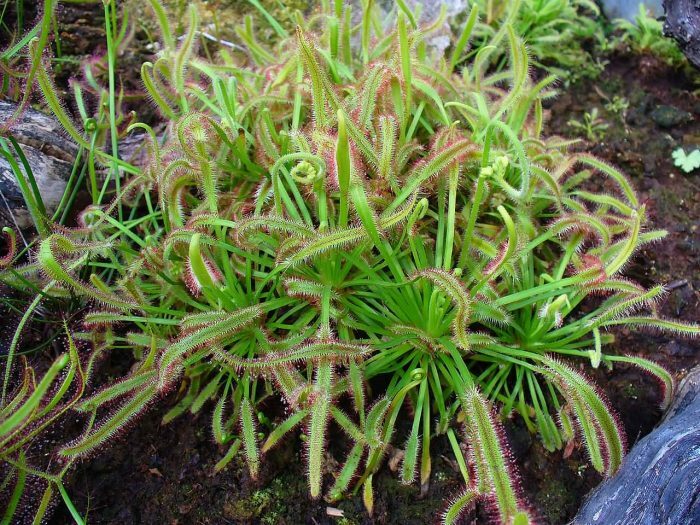 Cape sundew native to the Cape in South Africa. Because of its size, easy to grow nature and the lots of amounts of seed it produces, it has become one of the most common sundews in cultivation. It produces strap-like leaves up to 3.5 cm long. These are covered in brightly coloured tentacles which secrete a sticky mucilage that traps arthropods. When insects are first trapped, the leaves roll lengthwise by thigmotropism toward the center. This movement is surprisingly fast with completion in thirty minutes. 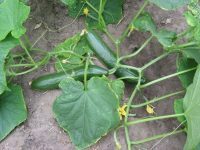 The plant has a tendency to retain the dead leaves of previous seasons and the main stem of the plant can become quite long and woody with time. 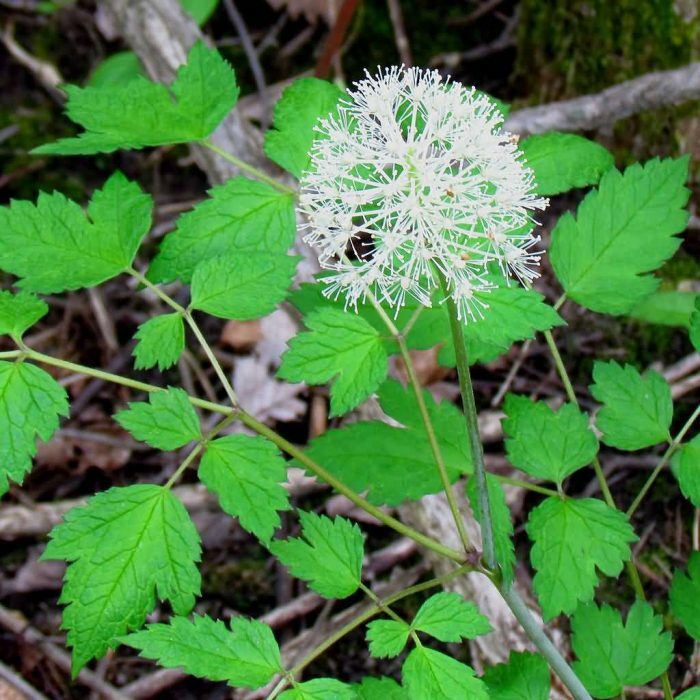 White Baneberry also called doll’s-eyes are native to eastern North America. 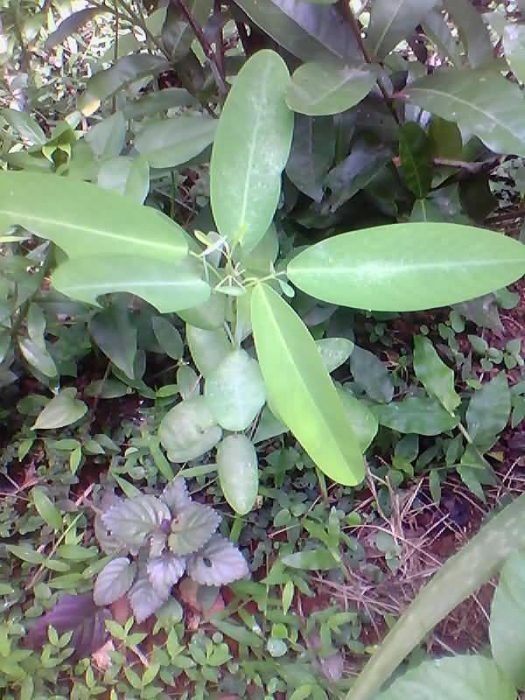 This plant growing to 50 cm or more tall. The white flowers are produced in spring in a dense raceme about 10 cm long. Its most striking feature is its fruit, a 1 cm white berry. The fruit size, shape and black stigma is look like doll’s-eyes. 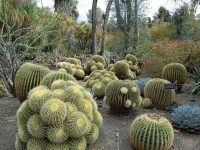 In cultivation it requires part to full shade, rich loamy soil, and regular water with good drainage to reproduce its native habitat. Both the berries and the entire plant are considered poisonous to humans. The berries are most poisonous part of plant and it contains cardiogenic toxins which can have an immediate sedative effect on human cardiac muscle tissue. Pennantia baylisiana is a species of plant in the Pennantiaceae family. 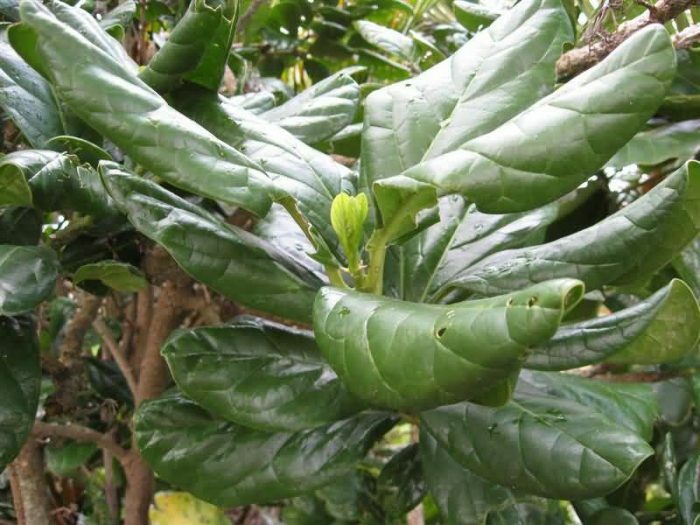 It is endemic to the Three Kings Islands, New Zealand, where only one plant is known to exist. It is threatened by habitat loss. Pennantia baylisiana was listed as one of the world’s rarest plants by The Guinness Book of Records.